By Brenda Rositano November 5, 2018 Thank You! Aviator Bears have just arrived – in their own custom aircraft! 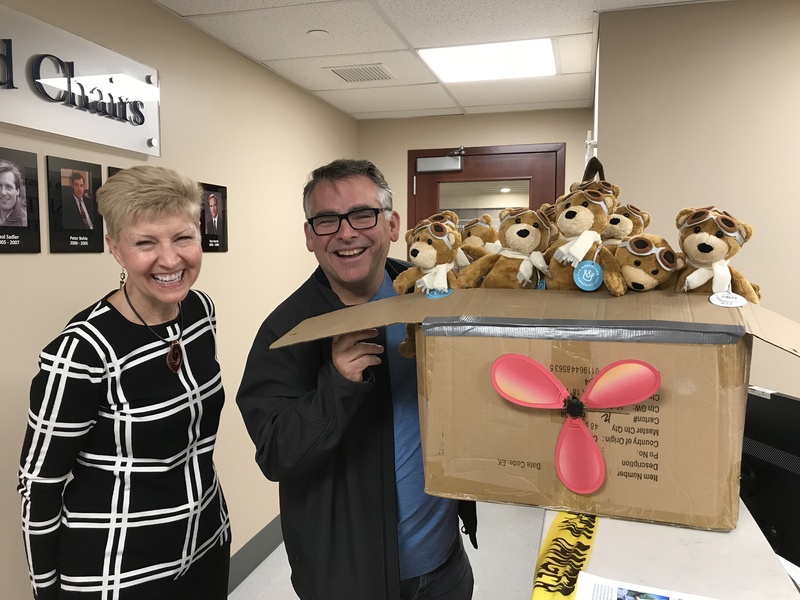 Thank you to Allison and Gord of Skydive Vancouver Island for donating a bear for each skydive in the month of October! 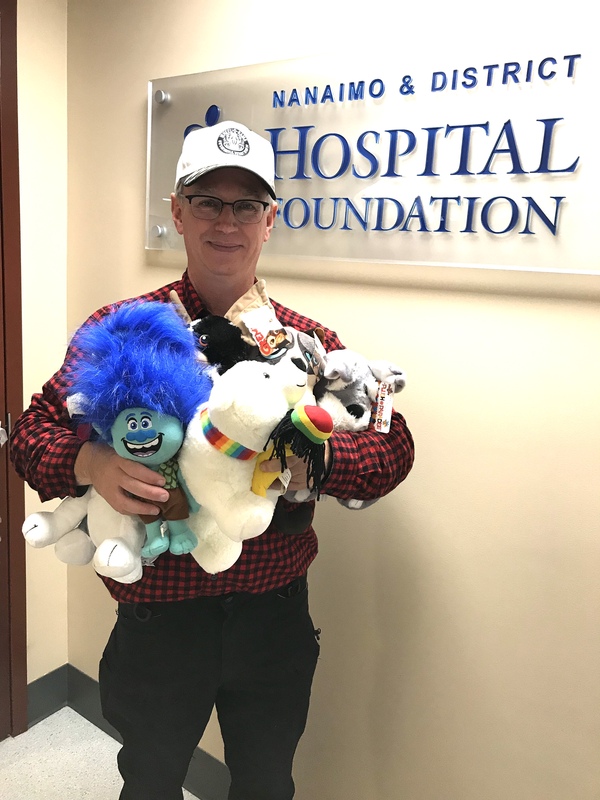 The 50 adorable bears will brighten the spirits of children receiving medical care at NRGH.